Uploaded videos can be made available for rent, purchase, or free (but ad-supported) streaming, TechCrunch noted. Subscriptions are also possible, but must be arranged through Amazon's Streaming Partners Program, meaning that that they're generally oriented towards bigger content providers. Unlike YouTube, Video Direct is geared towards professionally-produced content. Uploaders have access to a metrics system, and must supply videos in HD with closed captioning. Amazon is moreover launching "AVD Stars," a fund of $1 million per month that will be distributed based on the top 100 Video Direct titles on Prime —in addition to any other income the videos might be pulling in. The first month of AVD Stars will begin in June. Some of the partners already enrolled in Video Direct include Conde Nast, HowStuffWorks, The Guardian, Mattel, Machinima, Samuel Goldwyn Films, and Journeyman Pictures. 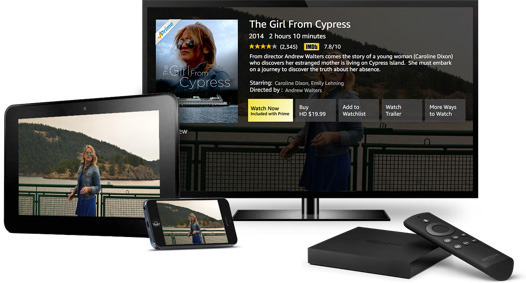 The public will be able to watch videos on any platform with access to an Amazon Prime Video subscription, including iOS, Android, and Fire devices, plus consoles, desktops, and Rokus. Video Direct may be intended to compete with YouTube Red, Google's own paid video subscription service. While mostly offering ad-free YouTube streaming and better music options, it also incorporates exclusive shows and movies.